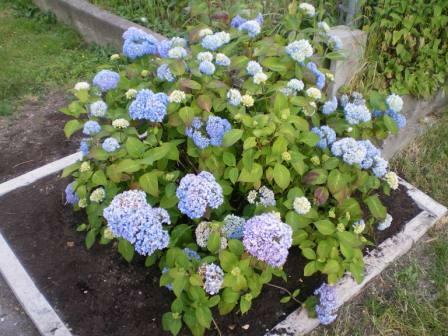 Summer is in full swing, our cold snap ended, happy plants. I thought I’d share some pics of our “black-thumb-turned-semi-green” yard. 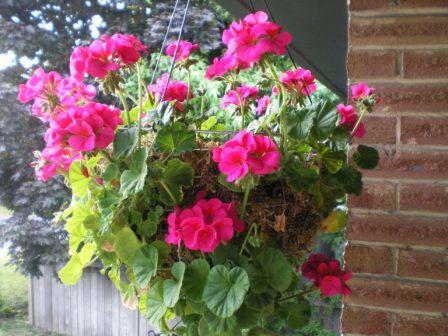 I had a bunch of leftover geranium start favors from a baby shower in April, so I planted them in a hanging basket. I’ve been patiently waiting for them to “pop.” I think they are getting there! 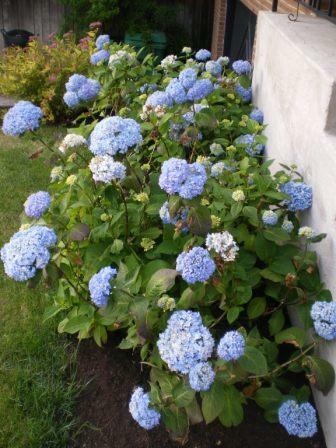 Also, we planted some hydrangeas last fall when my parents were here. Check them out! 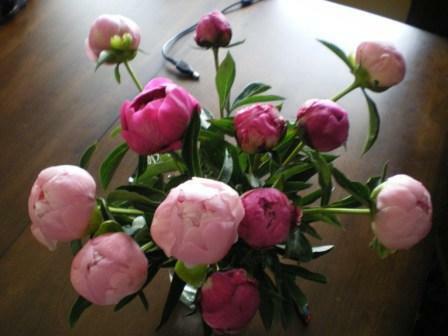 This is the first batch of blooms. I expect we’ll have a full set soon (though they might be a little sunburned after this weekend’s heat). We saw the forecast for a record breaking hot weekend, thought about the lack of air conditioning in our south facing house and decided to pack up and head to the mountains for some of nature’s air conditioning. 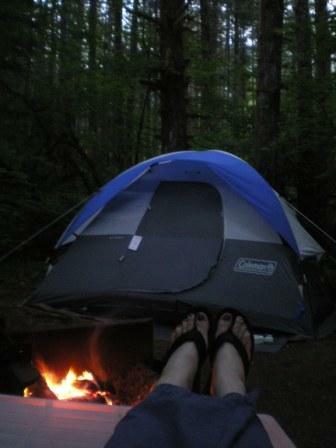 We stayed on a river up in the North Cascades where it stayed nice and cool. The catch? No running water. Oh well, I can make it work. 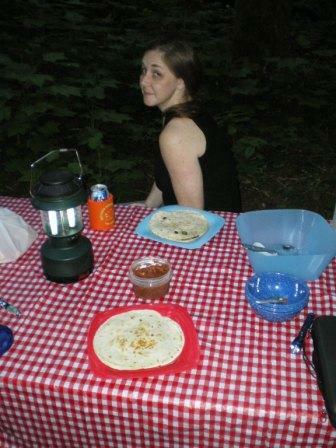 Camping quesadillas. 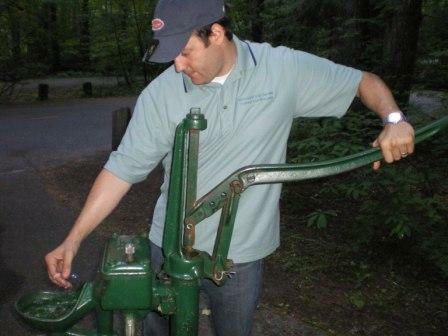 One of our favorite camping meals. We also journeyed a little further east to the town of Leavenworth for a day trip. 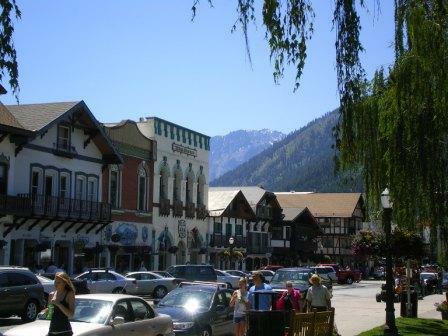 Leavenworth is a “Bavarian Village” that has no roots or history of actually being Bavarian. It’s cute though! They require all new businesses to have signs in the same font. 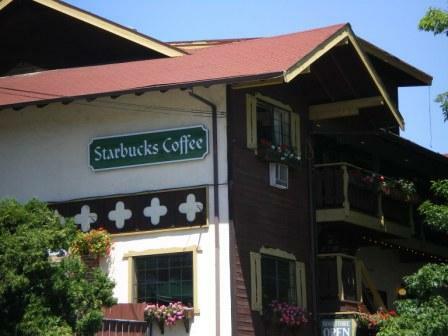 I thought it was very entertaining that I could travel to Norway and see a Starbucks logo in the same font as our stores all over the US, but in this little fake Bavarian town, they were required to change their logo. It’s kind of like Disneyland. Back at the campsite, we invented a new dessert. 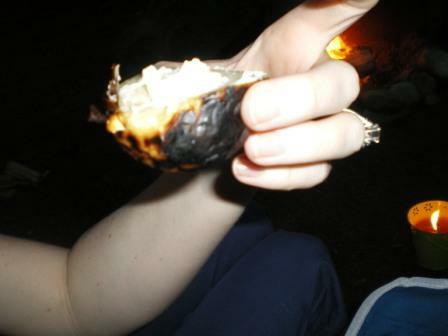 We halved a white nectarine, stuffed the pit hole with a wedge of cheese, closed it back up, wrapped it in foil and tossed it into the coals. It was delicious! If we had brought a little bit of honey, it would have been perfect. It may not look so pretty below, but it tasted deeee-lish! There are more pictures somewhere, but I can’t find them now…some good ones of the RAGING rivers (we had 3 times the normal snowfall this year) and the mountains. Hopefully I’ll post later this week! Yeah. Record lows. Snow in the mountains. Wind storms. Sad tomato plants. Habanero plants saying where did you bring me? Cold toes. Furnace firing up. Heated floors nice and toasty. June in Seattle. Come oooooooon July! Update for today. They are the best. Especially on this torrential rainstorm day!